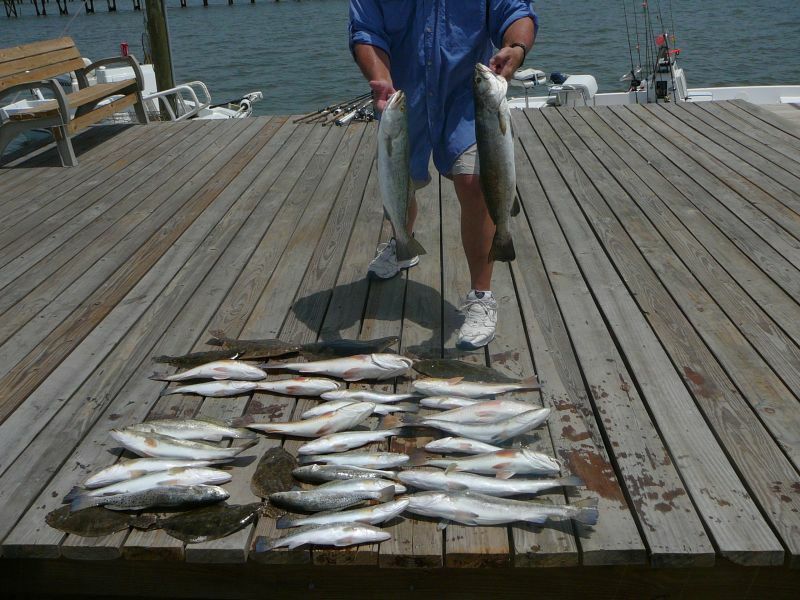 Saturday July 26, 2008 Joey S & Friends, A Great Day On Lake Calcasieu!!! 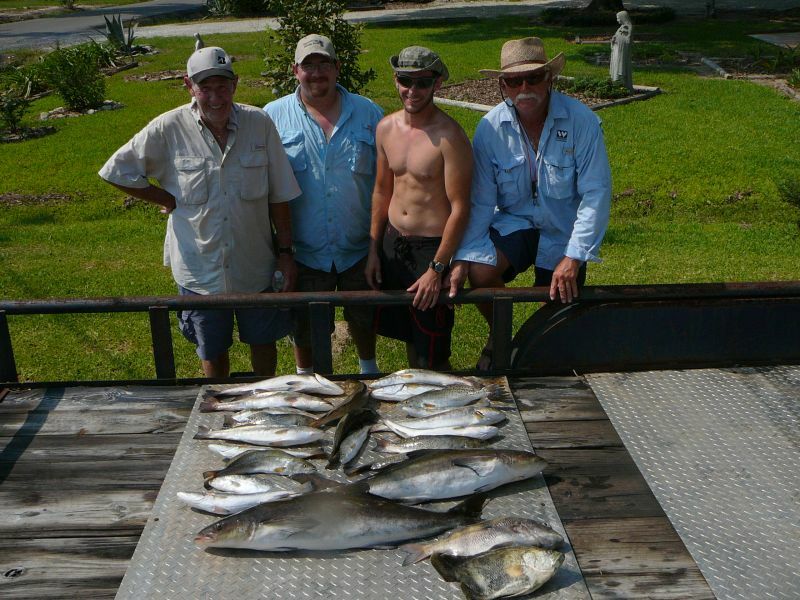 Joey S. of Houston invited several of his business associates and their families for a great day of Fishing on Big Lake. Judy started the day with a 2# Redfish on the very first cast, on a live shrimp. It was all Judy most of the day she gave the guys a lesson on catching Trout, Redfish & Flounder. 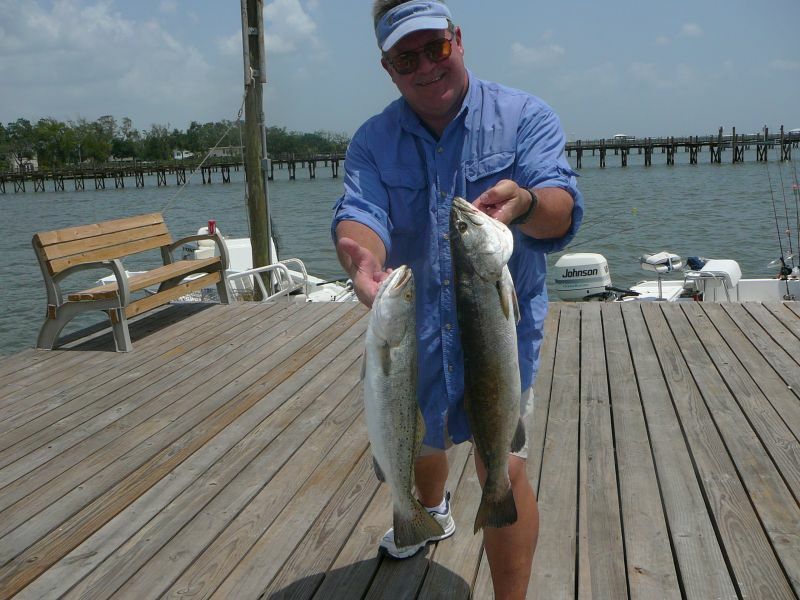 Joey went for quality instead of numbers and finished with a nice 25.5″ (5.5lb) Trout. The fish were fairly active and the last cast of the day hooked a flounder that shook the hook on the way in and gave us something to look forward too next trip. Thursday July 24, 2008 Went Scouting on my day off and the lake was full of shad. Worked the Schools of shad and had 19 nice trout by 8AM. These 2 were the biggest one was 24″ 4# 13oz. The other was 24.5″ and 5# 1oz. Still have a few August dates open to get in on this great summer action before school starts. 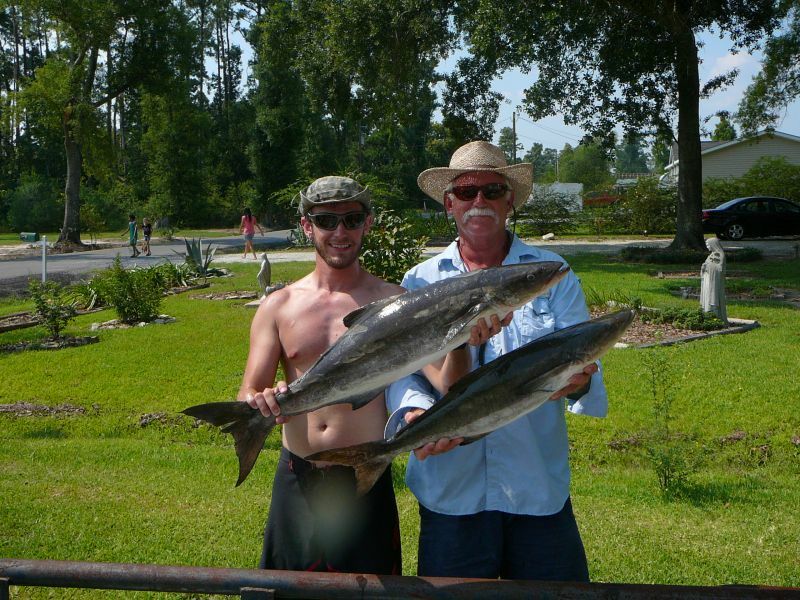 To Catch Cobia on 12# Test takes a big set of – Rods. These Guys were up to the 30 minute battle and won!!! July,17,2008 Dan W., Son Brandon & Friends Bill & Rick Catch Every Species Available!!!! 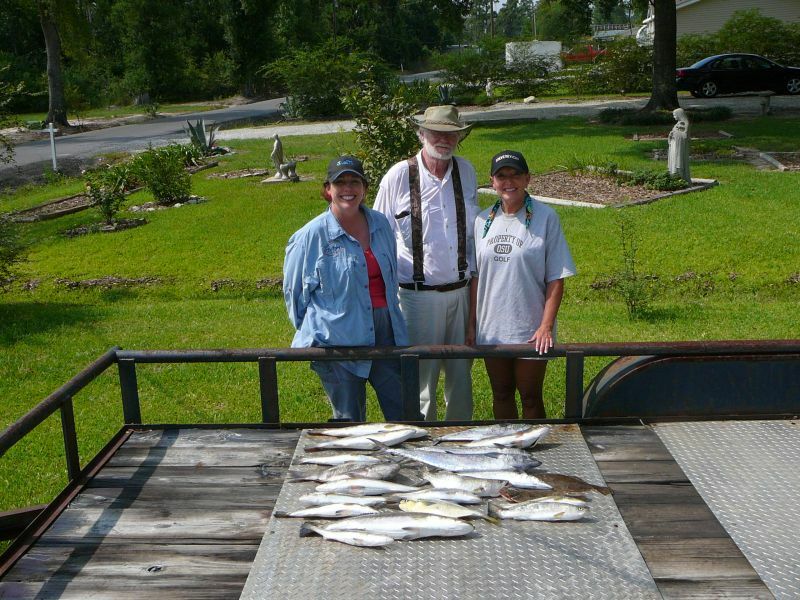 Saturday 7/19/2008 saw an early (3:30am) Start For Marcy, Ron, & Adrene on their 2nd trip to Lake Calcasieu with Captain Tom. After a bumpy boat ride to a beautiful sunrise it was a little work to get the fish to start biting. 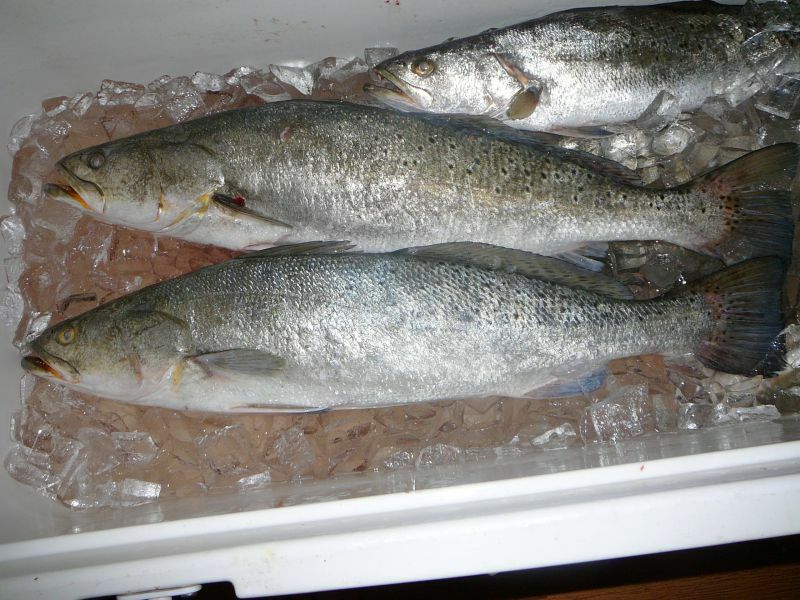 The tide was slow to none early but we put 5 Trout & 1 Pompano in the cooler at the 1st stop and 5 Nice Trout and Marcy hooked and landed a 25# Drum. at the 3rd stop I hooked an 8# Tripletail and had him 1/2 in the net and lost him)&^%$#@ a few choice words later Ron hooked and landed a 23″ Speck that was also a challange to get in the net, but patiance paid off and he’ll be dinner for 4. To finish a great day we moved inside the jetties and Adrene added some Flounder to the cooler for a great finish to their Big Lake Adventure.